Beading pattern for the Flower-Ball beaded bead. 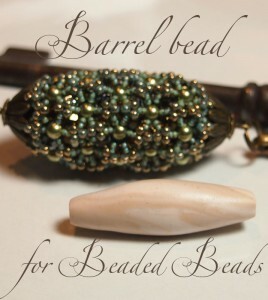 You can use the beaded bead for keychain, for gift oranment, or for pendant. I made a pendant from the Flower-ball beaded bead, and made a necklace too for the pendant. The tutorial included the pattern of the pendant, and the necklace too. 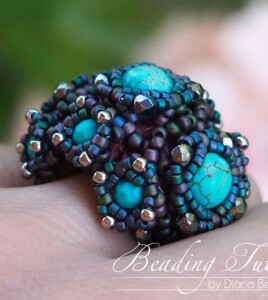 Make more beaded beads, and thread them successively to create a necklace or a bracelet. 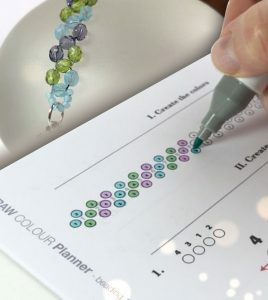 Combine your beaded beads with other types of beads to thread a necklace. 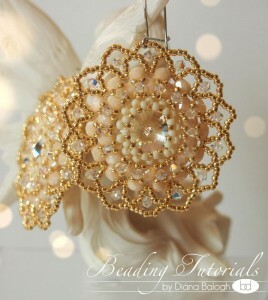 Use your beaded bead as a hanging charm. 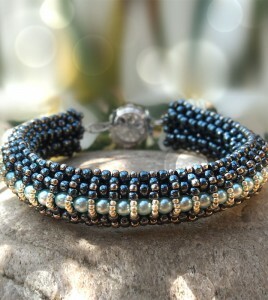 Hang more beaded beads on a beaded rope, and you’ll get high fashionable jewelry. …and the dragon handed over his gift, and said: I give you this sphere, so every time you look at it, you will remember me. This orb is a lot more, than it seems to be. Mere mortals just look through it, and they do not see nothing, but emptiness. Yet you will see the whole world in it: beauty, love, happiness, riches and perfection, because you see yourself. It was you, who brought it into being, for your creations will be no different, but always as you are. Rowan had a special, fine casket. When Rowan wanted to have something, or he aimed for a goal, he simply wrote it on a piece of paper and put it into the casket. He stopped longing after them, because he knew that everything inside that box does already exist, and sooner or later it will be fulfilled. And so did it happen, each end every time. The Rowan’s Box pendant is a special beaded cube. This cube is created with metal filigree components, using RAW (right angle weave) technique, and it is decorated with crystals, or other types of shiny beads.